Kirill Serebrennikov, one of Russia's most well known cultural figures and artistic director of the Gogol Center theater in Moscow, was put under house arrest on charges of embezzling government funds on Wednesday. 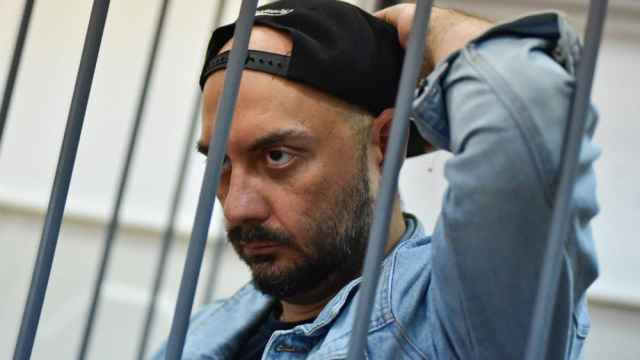 — Prosecutors on Aug. 22 charged 47-year-old Serebrennikov with defrauding the government to the tune of 68 million rubles ($1.1 million). He could face up to ten years in prison. — The funds had been earmarked for the Platforma contemporary culture project, which is based in Moscow’s Winzavod Contemporary Art Center and seeks to develop theater, dance, music and media. President Vladimir Putin personally approved the project in 2011. — The Culture Ministry provided Serebrennikov's "Seventh Studio" company with around 214 million rubles in subsidies between 2011 to 2014 to realize the Platforma project, with more than 10 experimental theater performances, 12 annual experimental media art events and several musical and contemporary dance performances. All performances were required to incorporate “cutting-edge technology” and feature famous playwrights, directors, stage designers, and actors. Among the staged performances were Serebrennikov's "Otmorozki," "A Midsummer Night's Dream," "Hunting for the Snark" and two operas by Alexander Manotskov. The list also included Serebrennikov and French choreographer David Bobee’s "Metamorphoses," three projects by the award-winning Dialog Dance Company and performances featuring prominent European choreographers and musicians. Several performances staged by Platforma received prizes at the Golden Mask, Russia’s most prestigious theater award. 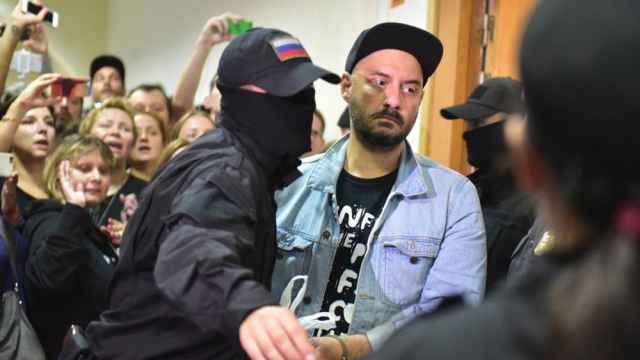 — On May 23, Serebrennikov's apartment and the Gogol Center were searched by investigators in connection with a 200-million ruble ($3.34 million) fraud case into "Seventh Studio." 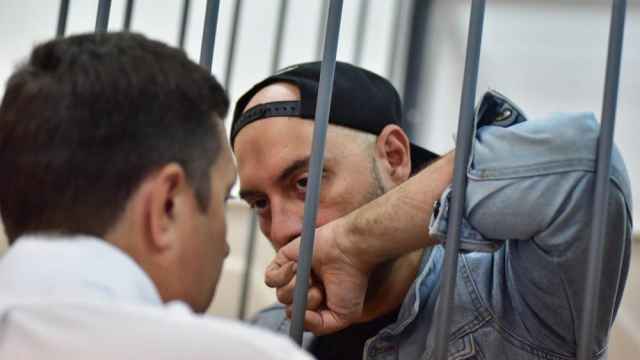 Serebrennikov was released and named a witness in the case. — On May 24, Nina Maslyayeva, the company's chief accountant and its general director Yury Itin were detained and charged with embezzling 1.2 million rubles ($20,000). Then, former Gogol Center director Alexei Malobrodsky was arrested on June 21. Investigators claimed that the performance "A Midsummer Night's Dream," which received state funds, was never performed. Malobrodsky’s defense lawyers submitted reviews of the specific performance published in the media, but the prosecution was not convinced. "In itself, a newspaper article cannot confirm that the performance took place," prosecutors said. On Aug. 8, in a Moscow City Court, Maslyayeva said she had helped Serebrennikov, Malobrodsky and Itin to cash out funds allocated to theatrical productions. — Serebrennikov was detained in St. Petersburg, where he was working on a film on Soviet rock legend Viktor Tsoi, on Aug. 22 and taken to Moscow for questioning. According to the Kommersant newspaper, Serebrennikov told investigators he had not been involved in financial affairs around Seventh Studio and all decisions had been taken by his colleagues. The following day he was brought to trial at Moscow’s Basmanny District Court, where he was placed under house arrest until Oct. 19 and fitted with an electronic bracelet. 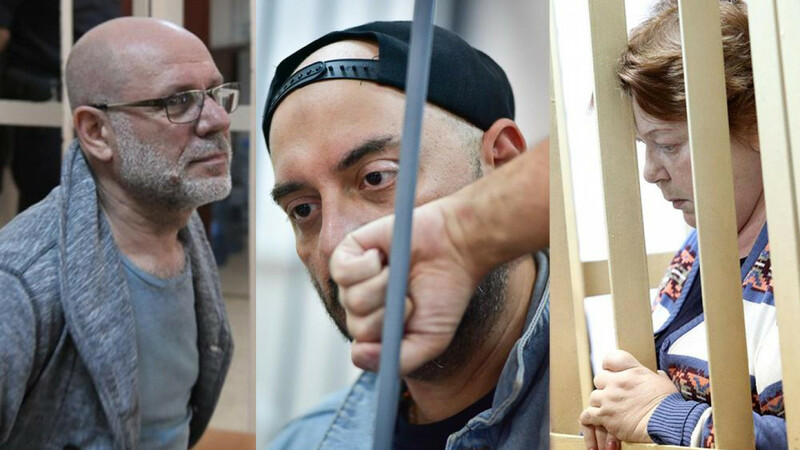 Hundreds of people, including prominent members of Russia’s culture and arts community, attended the trial in support of the director, chanting "Freedom!" and "Shame!" — Russia's Culture Minister Vladimir Medinsky has described the situation as "sad." “But there is no [question] of it being politically or economically motivated,” he said, citing “sources." Today was theater and film director Kirill Serebrennikov's first day in court on embezzlement charges. He denies the accusations.